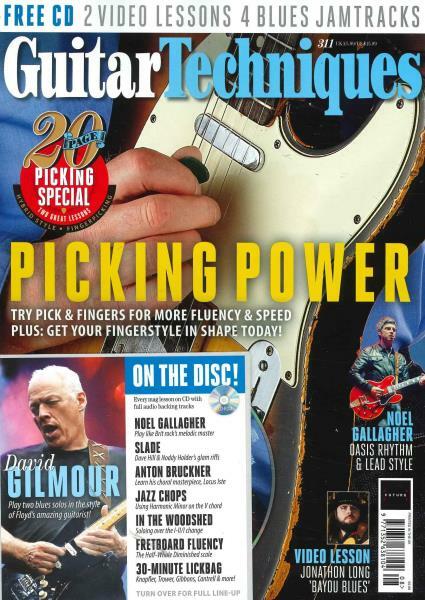 Guitar Techniques is a monthly guitarist magazine; it is focused entirely to help readers develop skills in a range of different styles and genres. Buy a single issue or subscription to Guitar Techniques magazine. Guitar Techniques offers exclusive advice from the UK’s most talented teachers and guitar players to help to develop current skills in a range of different styles and genres. Read articles on your favourite artists, reviews about new albums and why the publication is a go to for guitarists to improve their guitar playing. The monthly print is filled with things that help motivate and educate guitarists about their playing; each issue contains accurate musical transcriptions of songs and instrumentals from every genre of blues, rock, acoustic, and jazz. Workshops of specific techniques including fretting speed, using altered tunings, different picking techniques, musical theory, and many others are also featured in the magazine each month. Guitar Techniques seeks to develop guitarists further by focusing on their real passion of playing the guitar. Guitar Techniques is informative, interesting, and attractive to guitar players everywhere – a must have for anyone who is looking for inspiration or wants to become a better guitarist.